The Comprehensive Plan is a legal document which serves as a guide for land planning and land use decisions for property within and in close proximity to the City. The City’s current Comprehensive Plan document was adopted in 1984. In 2007, the City developed and adopted an Old Town/Civic Center Subarea Plan, which was incorporated into and became part of the Comprehensive Plan. 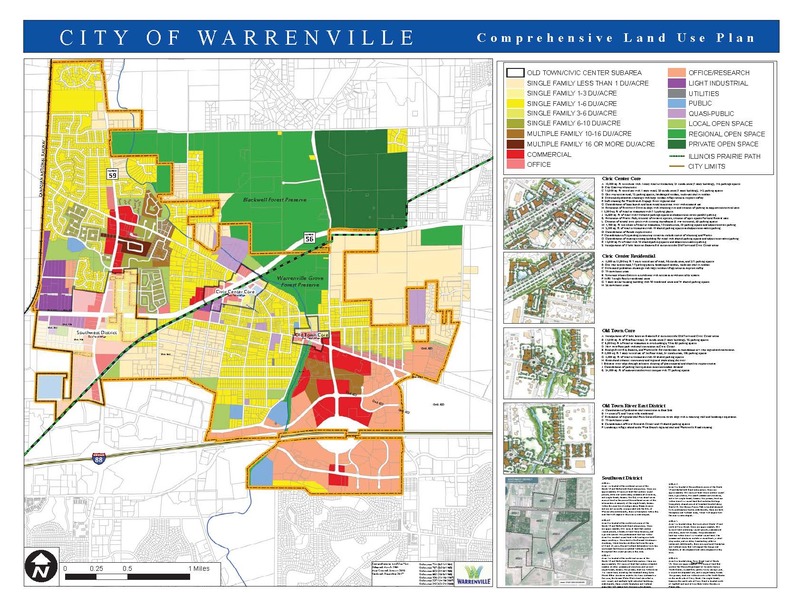 Questions about the Comprehensive Plan may be directed to the Community Development Department at 630-393-9050.